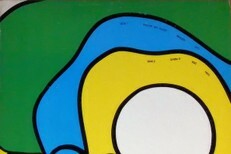 Wig Out At Jagbags, then, is bereft of surprises but not delights. Malkmus’ sixth album under his own name suffers somewhat from following 2011’s Mirror Traffic. That one boasted Sleater-Kinney’s Janet Weiss behind the drum kit and Beck behind the boards, the finest supporting cast Malkmus has worked with since disbanding Pavement at the turn of the millennium. Agreeing on a high water mark for the Jicks would probably prove even more contentious than coming to a consensus about the best Pavement album, but in my mind, Mirror Traffic was the highlight of Malkmus’ solo years. The songs were punchy and precise, and even when they did spiral into jam-band territory as Jicks songs do, they maintained a sense of purpose and direction. The band was sharp, and Beck’s production lent the music an emotional and sonic depth that Malkmus doesn’t always pull off. 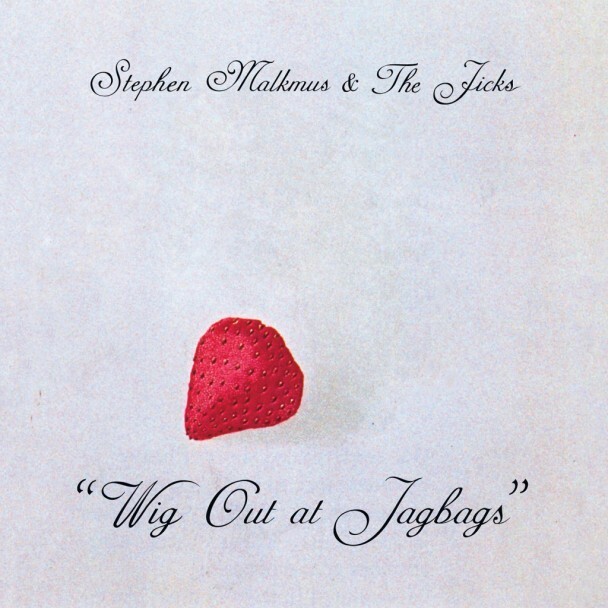 In that context, Wig Out At Jagbags feels like just another Stephen Malkmus album, one that will hit the sweet spot for SM zealots and rankle the haters as ever. Malkmus has always been a word fiend — Pavement’s Scrabble obsession is well-documented, and there’s a song on Jagbags called “Scattergories” — and anyone who shares his fondness for twisted turns of phrase will find plenty to feast on here, from the ridiculous title on down. On “Houston Hades,” which sounds like Springsteen’s “Glory Days” as filtered through the sagging shoulders of Pavement’s Brighten The Corners, Malkmus says more with one farcical word (“truckhuggers”) than most lyricists could in an entire album. The prog-rock story song “Surreal Teenager” closes the album with wordy character sketching such as “John is ever so loyal/ He’s pugnacious in that regard.” Even when expressing something like genuine sentiment, he’s tricky. The “Lariat” lyric “A love like oxygen/ So foxy then, so terrific now” is the kind of loaded yet opaque couplet he’s spent decades perfecting. The whole album is like that, every song its own puzzle to unlock. Musically, too, he keeps finding ways to slightly tweak otherwise straightforward pop songs, sometimes by veering them into far-flung time signatures, but also by accessorizing smartly. Slow jam “J Smoov” makes over his trusty chiming guitar octaves in clean, jazzy tones out of a Wes Montgomery record and incorporates a horn section. The brass gets put to more rollicking use on the Thin Lizzy sendup “Chartjunk,” built around a rad guitar hammer-on riff that gives the song its sense of propulsion. Opener “Planetary Motion” is straight-up psych rock, with fuzzed-out guitars dueling over the the rhythm section’s bluesy pulsations. Those all play like minor variations of a core sound that’s been locked into place for years, which becomes clear when he doesn’t bother to alter the formula at all: There are songs here that could have been on Pavement albums (“Independence Street,” “Cinnamon And Lesbians,” the excellent “The Janitor Revealed”) or even Pixies albums (“Shibboleth”). He still does zany things with his guitar and even zanier things with his voice in ways that accentuate rather than undercut his innate melodic touch, although these ones take a little longer to sink in than the hooks from, say, “Shoot The Singer” or “Carrot Rope.” You might be surprised at a detail here or there, but sonically you pretty much know what you’re getting before you press play.